More than 85% of all chess games start with either 1.e4 or 1.d4. The Black Lion presents a flexible, logical and sensible way for Black to meet both of these moves. This robust, multipurpose opening system looks quiet, like a sleeping lion - hence the name. 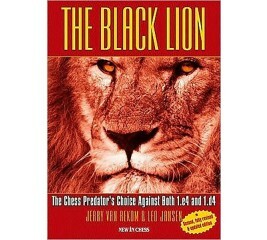 But when this predator is provoked, and the game heats up, Black eats its prey in an extremely swift and efficient way.